Herndon, VA – January 30, 2019 – Deltek, the leading global provider of software and solutions for project-based businesses, recently wrapped its annual Global Partner Kickoff event – the largest gathering of Deltek partners from around the globe for two days of networking, breakouts, and strategy sessions to accelerate Deltek’s partner program in 2019. Deltek works with several types of partners including Resellers, Systems Integrators, Outsourced Managed Services, Software & Technology Vendors, Referrals and Industry Advocates. 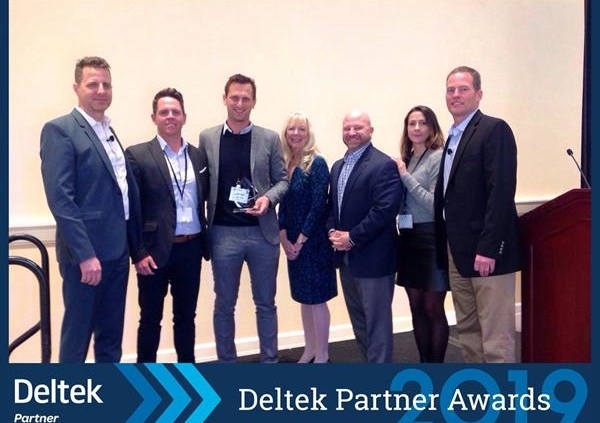 At this year’s kickoff event, eight of those outstanding organizations were recognized for their efforts marketing and selling Deltek solutions in 2018. For more information on Deltek’s partner program, please visit the website here.